While I have the deepest respect for the medical professionals who are giving out this advice, their expertise doesn't usually extend into yoga, and I think often these comments are coming from a misunderstanding of what yoga is about, how it works and what actually happens to a hypermobile body while training yoga. I'd never suggest that anyone went against the advice of their medical carers, but it is an opportunity to open up a conversation and find out exactly what they are objecting to, and why. Loads. Millions. Many of them are related to each other, in that students of a particular teacher went off and started their own schools which have subtle differences, but some of them are wildly different. Yoga has been heavily appropriated by the Western world, and in some cases, what originated as a spiritual lifestyle of mind-body connection, has turned into an instagrammable pursuit of "perfect" aesthetics and visually impressive feats. Or it has been modified to fit Western fitness ideals of physical challenge, sweatiness and feats of strength. If that's your bag, then that's absolutely fine - we should all be doing the exercise we love most. But I've also encountered hypermobile people (or zebras) who have been to one of these "high performance" yoga classes and found it wholly unsuitable. This shouldn't be a reason to write off yoga completely. It just means that teacher or style wasn't right for that person at that time. The primary reason our zebras are being told to stay clear of yoga is "yoga makes you more flexible, you are already too flexible"
This is a classic misunderstanding of the purpose and practice of yoga. Yoga is about building healthy function and movement patterns into the body, in a mindful way. It's about tuning into what your body is capable of, and what your body needs, right now, without judgement. This is what is lost in the Western picture perfect asana culture. It's not about "achieving" the asana, it's about the journey of figuring out where the imbalance of strength, mobility and alignment is in your body, about acknowledging it and caring for it. Yoga is also about a lot more than asana. It's about breathing, which improves core strength, cardiovascular and autonomic function (all important for zebras). It's about being aware of your body, it's position, alignment and the changes within it (also super important....) and it's about meditation and relaxation to reduce stressors in the body (the sort of thing that can trigger fatigue, pain and comorbid conditions like fibromyalgia). Again, if you go to a class and the sole focus is forcing yourself into a human pretzel shape - you are missing out on some of the best bits of yoga, and that's not what I'm talking about when I say yoga is great for hypermobility syndrome. 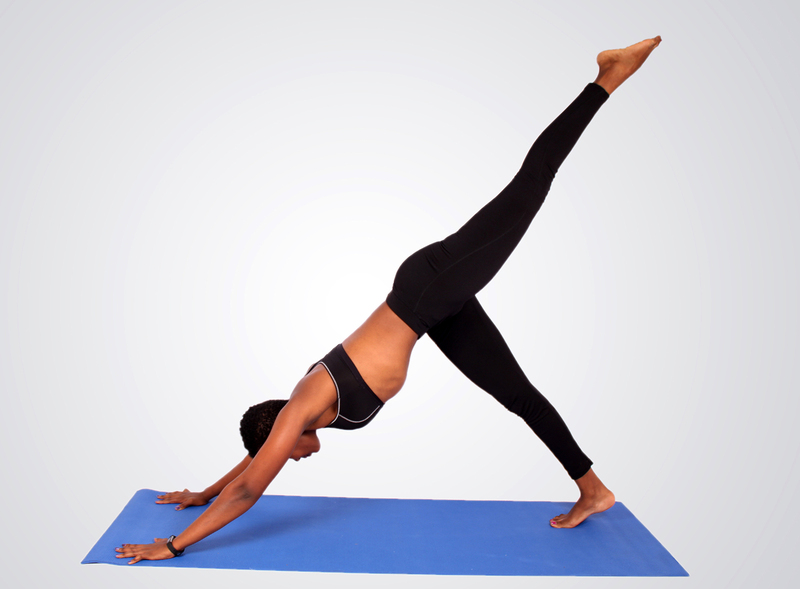 Many of the yoga sequences and poses are designed to promote good biomechanics. We practice the movements slowly and mindfully, until they are set into our muscle memory and start creeping out in our everyday movements. The posture, the gait, the process of moving the body, with awareness, balance and core strength, applying the right muscles in the right order with the right balance. It's exactly what people with poor proprioception and unstable joints need. I've spoken to people who were advised "if you do yoga you must be careful not to extend beyond a healthy range of movement". Well, yes. That is exactly what you will be working on! One of the big problems with being hypermobile, is that we don't have a clear "feeling" of a safe range of motion, by the time a joint reaches the limit of its movement, it has already gone into a position which is potentially unsafe. We do this all the time, when walking, standing, sitting... in our sleep. Yoga practice gives us a window of time to focus purely on getting that right. The most common diagnostic procedure for hypermobility is the Beighton score. It is a measure of how generalised your joint hypermobility is. It's not always accurate because it only covers 9 joints out of dozens that could be affected, it's also not indicative of severity. I know people with EDS who have a score of 4/9 and have severe movement impairment. I have a score of 8/9 and with management I pass as healthy. When I encounter hypermobile PT clients, I am always fascinated by how their unique bodies come together. The hypermobility is not always bilateral (I have one hypermobile wrist and one "normal" one). Often they will have a large range of motion in an internal hip rotation, but very limited external rotation. Often years of "interesting" posture (standing or sitting) have caused some really unusual chain reactions between joint sites. I used to have one pronated foot and one supernated! Hip instability goes unnoticed and manifests in the knees. When working on postural correction through strength/fitness training, we think on two sides of the coin, what needs to be stronger, and what is too tight? So what I am getting at is that even someone with hypermobility will have areas that need to be stretched or otherwise released. Probably moreso than the average person. One of the cool things about yoga, is that you find those areas in the process of working through the movements, and as you work on those movements, getting deeper into the asana, the right parts are gradually released. Here's a fun factoid. The medical definition of mobility is "the ability of a joint to be moved through its range in different planes." Notice that describes a passive process. Like the Beighton test, it is about how far the joint can be moved, by an external force. In fitness we call that flexibility. In fitness terms, mobility is an active process. Mobility is the ability to move a joint using the appropriate musculature. So for instance doing a floor split, using gravity, could be described as flexibility. But doing a standing split, in yoga or dance, would be mobility, as you have to use your muscles to raise and hold the leg. So when I say that yoga (or pilates or suchlike) increases mobility, I am saying that it increases the range of motion through which the joint has strength and stability. What a medical professional hears though, is that it makes the joint less stable by increasing passive range of motion. Two very different things. The first being something many hypermobile people lack, and need to improve their symptoms, the second being a recipe for dislocations. So what we have come back to, is the need for communication. Clear dialogue and understanding. I regularly come across people with hypermobility who have been told they need to retire from their favourite sport, or that no one with their condition should consider yoga, or strength training above very low resistance levels, or running. Yet I have also met numerous hypermobile yogis, powerlifters, crossfitters and marathon runners! Exercise is good for our bodies. It increases connective tissue strength and develops musculature to support our joints. The top experts in rehab for hypermobility recognise that exercise you enjoy and want to take part in is ultimately more effective than conventional "rehab" if only because you actually do it! So ask questions, seek second opinions, work with all the right experts to figure out your balance between what you enjoy, what works in your body and what makes you feel at your best. If you are looking for guidance in your exercise or nutrition for general health and well being, you should click over to my website and see the programmes and personalised training options I offer. My rheumatologist recommended yoga and thought aerial circus sounded like a great idea too: anything that improves proprioception and core strength! But I think I was very lucky he's the one who diagnosed me: I've met people who were told to avoid moving more than necessary at all, which sounds painful and dangerous! Yes, the first link in the last paragraph is a really interesting seminar by a physio. She breaks down exactly why not moving is a bad call as it leads to a downward spiral of muscles getting weaker, more injury and less capability to move.